Aptiv left a piece of Pittsburgh in Las Vegas when it tore down its booth last week at the largest electronics show in Las Vegas. 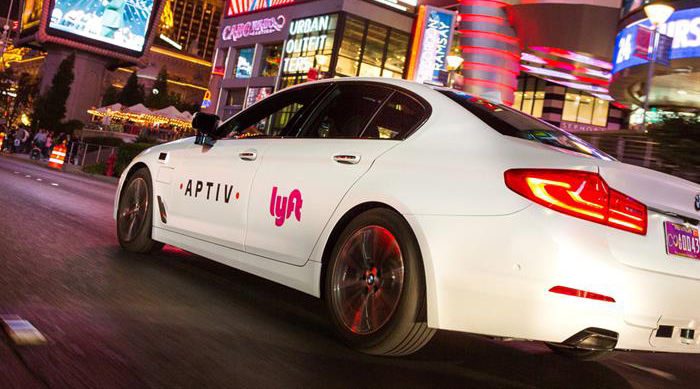 The company, through a partnership with Lyft, will continue testing a fleet of self-driving BMWs in Las Vegas, Aptiv CTO Glen De Vos announced Jan. 16 at the North American International Auto Show in Detroit. De Vos also mentioned that Aptiv, formerly Delphi, and Lyft are looking to launch a second pilot program in another city. No further information on the Las Vegas tests or where the Aptiv/Lyft team will head next were available. Aptiv and Lyft offered rides in self-driving cars throughout CES last week. The cars featured autonomous vehicle technology developed in Pittsburgh. The cars gave more than 400 rides during CES to more than 20 destinations on the Las Vegas Strip and elsewhere in the city. De Vos said that cars were in fully autonomous mode 99% of the time. The cars switched to manual driving only when entering private property or when the cars were directed off the pre-mapped route. The rides received an average rating of 4.997 stars on Lyft’s app.